This book is a little encyclopedic collection of main characters of novels and little vignettes about the books and how the characters came about. It talks about Madame Bovary, Anna Karenina, and others of classical lit along with more contemporary demi-classics like Sam Spade and the Continental Op (from Dashiell Hammett’s novels and stories). A quick read–it’s only 135 pages with bibliography–but it’s a bit of fun. 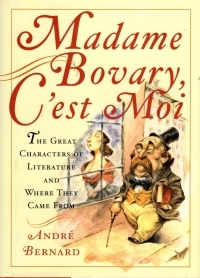 One feels a certain smug satisfaction when browsing the entry for something one has already read–in my case, the aforementioned Anna Karenina and Dash Hammett stories–and perhaps a bit of curiosity that might inspire one to read one of the novels mentioned that you haven’t read (in my case, Madame Bovary, but fortunately that inspiration is fleeting, and I can go back to reading Executioner novels). 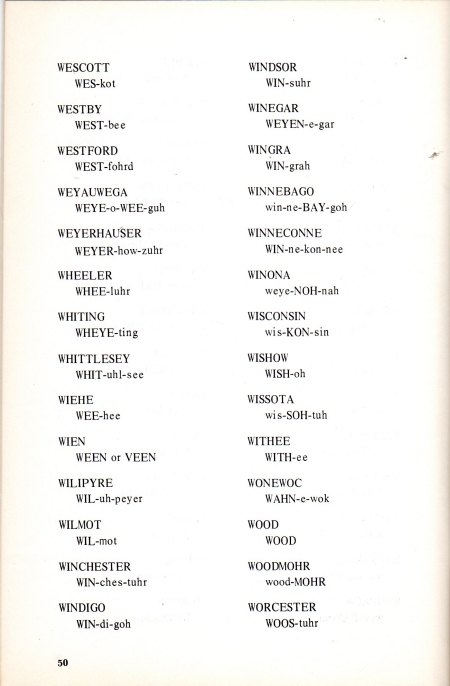 The book also has numerous sidebars, from bulleted lists collecting characters into groups (alliterative names, single named characters, and so on) to quotations from authors on other authors, their characters, or writing (C.S. Forester expresses his trouble identifying characters in War and Peace by name, which is what caused me to put the book down when I started it soon after I read Anna Karenina ten years ago (!)). A good, quick read for the literary-minded amongst us. It seems to me that, as I was growing up in the 1970s, that allusions to this book were everywhere, but it might have been that I saw the same Bugs Bunny cartoon referring to it over and over again. It was quite a sensation in its day, spawning a movie and a Broadway play much like you get from modern pop culture forces. This book was also sent overseas with World War II veterans a bunch, too, so it was part of the Greatest Generation zeitgeist even though it was set a generation earlier. 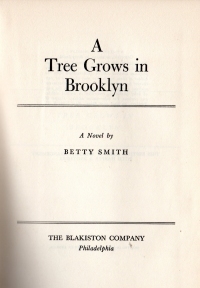 It deals with a young girl, Francie, at age ten in a tenement neighborhood in Brooklyn in 1912. It follows her as she ages into her teen years, after the death of her alcoholic father, and into the period when the US enters World War I. So, basically, the same time as the first couple of seasons of Downton Abbey. But the Nolans are not the Crowleys. The father only works a night a week, and the mother works as a cleaning woman. The kids start out collecting junk (from the rubbish bins of the buildings their mom cleans, which gives them an advantage of other neighbor kids). Francie is a bit of an outcast, a dreamer who wants to become a writer. I really enjoyed the book. It takes you out of the here and now and into poverty before the Great Society safety net, and it does very evocatively. Forget your Dave Ramsey University for being frugal–reading how this family stretched pennies and managed to save makes me want to nail a tin can to my closet floor and insert pennies when I can. A violin teacher with a particular interest in having his young lady students take off their shoes and socks while they practice. A child molestor that has the neighborhood up in arms until Francie’s mother shoots him with a gun possessed illegally. A soldier passing through that spends some time with a 16-year-old Francie and tries to bed her as a one-night-stand; when Francie asks her mother later if she should have, the mother says yes. Wandering gangs of disaffected young men doing bad things because they’re bored. You might think these are all 21st century problems, especially if you were educated somewhere in the end of the 20th century or the 21st. However, the book illustrates human nature has always been human nature, and the human spirit has always endured. Fans of the novels and poems written by the sibling inhabitants of Haworth Parsonage always have a Top Brontë. Fame-seeking Charlotte and mysteriously reclusive Emily usually grab the limelight. My father reread Emily’s only novel every five years, annotating his student copy of Wuthering Heights and monitoring his opinions depending on how his own love life was going. He shared his choice with the playwright and journalist Samantha Ellis, until the day she read Anne’s final letter, and was taken aback as its sudden significance ‘catches at my heart’, making her wonder about the less wowed, less known, youngest sister. This wonderful biography begins at a disadvantage. All but five of Anne’s letters are missing. The surviving biographical facts can fit a single page. But Ellis’s first solution is to tell Anne’s story through the characters at the centre of her life. Chapters are devoted in turn to the children’s heroic mother, Maria; their selfless aunt; their bereft Reverend father; the controlling Charlotte; the uncompromisingly independent Emily; and their brother Branwell, who Charlotte says ‘thought of nothing but stunning (drugs) and drowning (drink) his distress of mind’, jointly provide a prism through which Ellis’s elusive protagonist emerges. The game’s tag line: You always forget the last one. Dustbury has a long-running series called Strange Search Engine Queries where he rounds up the week’s strangest search engine queries that lead people to his site. I would do a series like that, but I don’t have my stat counter configured properly (or don’t pay enough) to see search engine queries leading to my site, and I don’t get enough traffic weekly to warrant it. I’m pretty sure most of the search engine queries are looking for book reports to plagiarize for books I’ve read, particularly The Sire de Maletroit’s Door. However, I have gotten asked some strange questions in real life. Oh, you have a library? I forget what I was talking about with the school secretary, but I mentioned having a large library, and she asked this question. Do I have a library? I do. 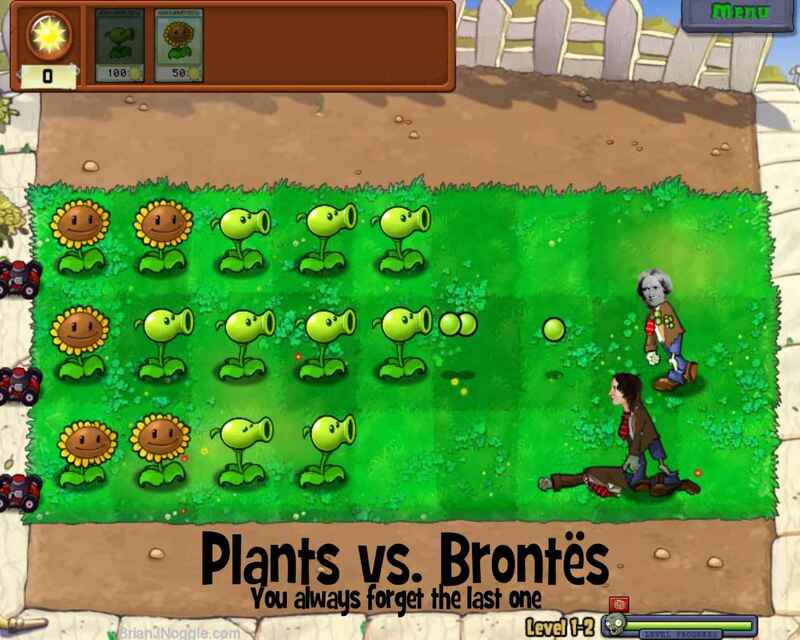 That image is from the Noggle Library 2010 post. 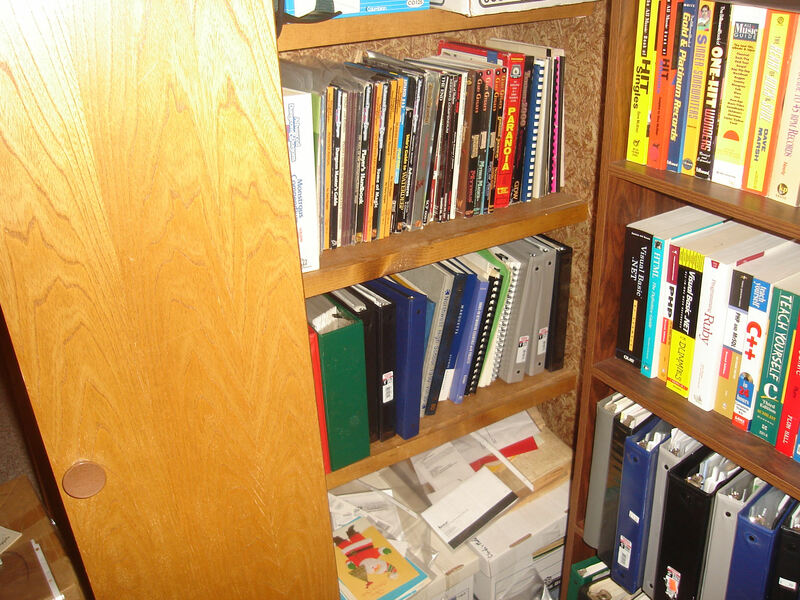 In the intervening time, we have gotten even more books, but only one new small book case. We have a little space in the basement these days, so perhaps I should get a couple more to spread them out. I used this question as a pretext for going to ABC Books in December; I told Ms. Earhart, the shops proprietor, that I needed just a couple more books to make my library more notorious. That was the first of three trips to ABC Books in late December. Surely, my library is notorious now. Have either one of you been a dungeon master? A friend at the martial arts school I attend asked my wife this question because her son was interested in tabletop RPGs. A dungeon master? 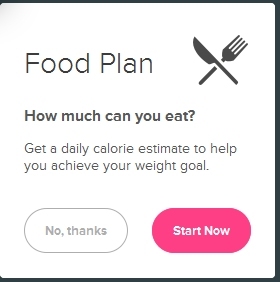 I’ve done more than that. As a reminder, I have all my old RPG stuff handy, too. I get asked this all the time. I’m not the best at IRL self promotion (and my Online Brand either, judging by the number of books sold), so sometimes my beautiful wife brings it up in conversation that I’ve published a book. Well, technically, I’ve published a novel, a book of plays, and two chapbooks of poetry. I don’t need to put a picture of my book below because they’re in the sidebar (well, not Unrequited and Deep Blue Shadows, the aforementioned poems). You can click and buy them if you want. 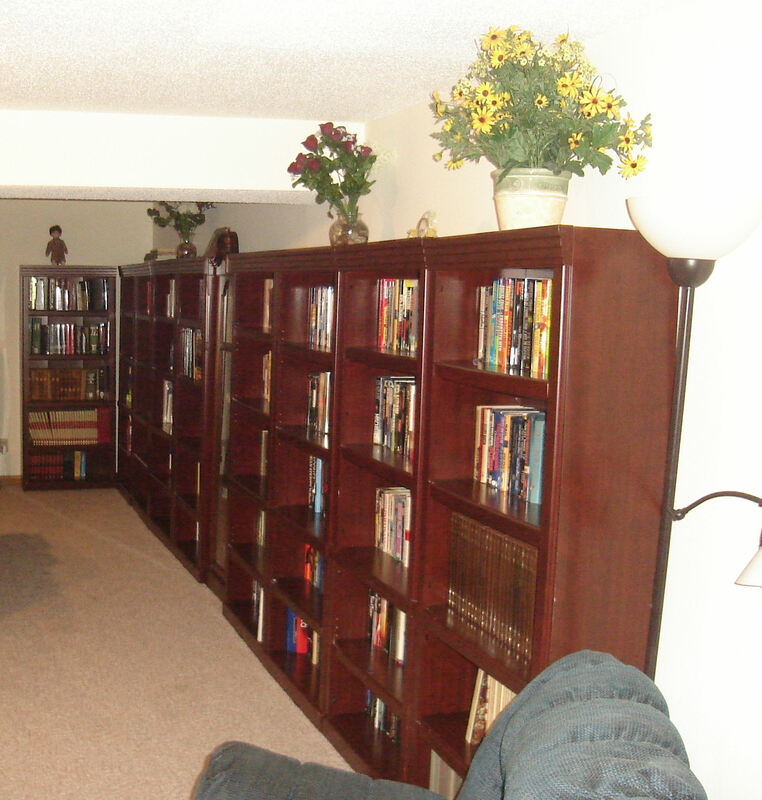 Back in the 1990s, I listed them on Basement Full of Books, and the listing is still up. However, I no longer live in Lemay. Funny, only when looking for the listing now did I realize the list was initially created by Vonda McIntyre, who wrote the movie adaptations of a couple of Star Trek movies that I would review many years later. At any rate, that’s a couple of real life questions where there’s a meaningful pause when someone asks them to me. This book is a quick primer on the shamatha meditation style written by a practitioner and published by an organization following the Shambhala school of Buddhism. That said, the book is heavy on the practice of meditation and thin on the philosophical tenets of Buddhism. The early parts of the book contrast shamatha with other types of meditation and gives a quick overview of some of the schools of Buddhism, but the real focus of the book is encouraging the practice of meditation, particularly shamatha-style, which involves focusing on the breathing. 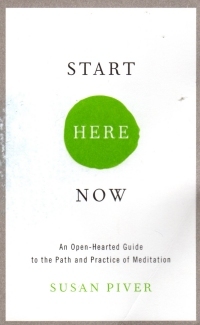 Buddhist thought aside, the book provides good insight into methods to still yourself each day. Which I’ll try to focus more on. But the author insists I should follow the millenia-old teachings of actual Buddhist masters instead of breathing according to the Relax setting on my watch. I don’t plan to set up a meditation space in my home nor conduct a meditation retreat weekend with all natural foods and lots of napping (well, I might plan lots of napping), but I’ll try sitting in better posture and focusing on my breath while trying to relax. So it was an interesting and informative book to read, written for a quick read and, perhaps, for future reference if you become a meditator. So I was listening to WSIE, and another jazz singer caught my ear: Sacha Boutros. So I checked Amazon, and her CDs are crazy expensive: $30 and up. But her Web site offers them for $19.99. Autographed. Since it accepted PayPal, and I had some money in my PayPal account from a writing assignment payment last year, I ordered her two studio albums. The CDs arrived the next day, of course. Upon seeing that Ms. Boutros signed Simply Sacha “with love,” my beautiful wife warned the CD that she is almost a black belt in martial arts. At any rate, Sacha Boutros has a rich, fluid voice that inhabits the songs on both CDs very well. The arrangements are classically (Big Band/jazz classically) aligned, which makes for some mellow music indeed. The two CDs have songs in English, Spanish, and French, so she checks my foreign language box. She reminds me a bit of Jane Monheit, Naz, or Ella Fitzgerald in vocal style (not breathy like Erin Bode nor a bit husky like Stacey Kent or Billie Holiday). So if you’re into jazz, you should check her out. Now, gentle reader, if you’re worried about my maintaining the aforementioned balance in my musical listening, note that my next CD purchase shall likely be Gemini Syndrome’s Memento Mori. Thank you, that is all. This book is the first fiction book I’ve read in 2017. 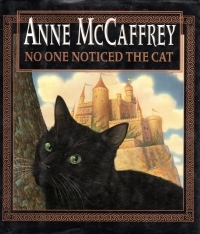 It’s a short novella with a cat on the cover. Which is probably why I bought it in the first place. It’s a fantasy story about political intrigue. A young prince takes the throne, and his regent passes away; immediately, he must negotiate diplomatically with a neighboring king whose queen is an intriguer who has been killing people who cross her. Once the young prince takes a shine to one of the eligible royals from that kingdom, he might well be the next target, and it’s up to him, his trusted advisors, and the cat who might possess the spirit of his former regent, to keep the kingdom and the prince safe. It’s a quick little bit of fantasy and intrigue, a pretty engaging little bit. I’m not sure if it’s targeted to adults or young adults, but, honestly, so much these days the young adults are as far as adults get, ainna? McCaffrey is most known for her Dragonriders of Pern series, and although I’ve probably read one or two in my life, I most associate her with Dinosaur Planet and Dinosaur Planet Survivors, the latter of which I got from a summertime reading program back when I didn’t own many books at all and that mass market paperback meant something. 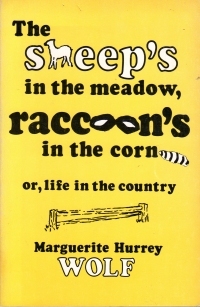 This book is a collection of essays about country living from a woman in Vermont (sometimes). Let me explain. The author and her husband bought a farm in Vermont in 1948 and spent summers there for a number of years while living elsewhere. They lived on the farm full time while her husband, a dentist, worked at the University of Vermont, but his work took the family to Boston and Kansas City for a number of years, but they retired to the farm in 1978. The essays in this book come from throughout the time period, and they’re not in chronological order, so sometimes their children are children and sometimes they’re married adults. Sometimes, the author is an older woman talking about how farm work is getting harder as she gets older, and sometimes she’s talking about closing the house up for the winter. It’s a little jump-cutty in the gestalt. But the individual essays are amusing and entertaining little vignettes. She talks about being a woman driving a pick-up truck back in the day when that was out of the ordinary (or maybe it still is in some places and I just live somewhere where it is not). She talks about the swimming hole on the farm, she talks about giving talks as an author and the strange situations that arise there. The essays are all self-contained and pleasant, but sometimes she uses the same turn of phrase or metaphors over and over again. She’s clearly well-read–a college educated former teacher after all, and her vocabulary and allusions sent me to the dictionary more than once. But I suppose they could have been written years apart, so this is forgiveable. 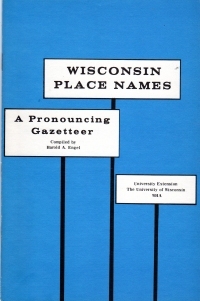 According to the essays and the about the author section, she has written many other volumes of such Rural Living stories and whatnot. I’ll keep an eye out for them, but I might be challenged in this regard if they did not disseminate much outside of Vermont and New England. You’re probably wondering why I picked up this book. Well, that’s easy: It was on my to-read shelves. No, no, you say; why did you buy this book, Brian J.? You’ve got a house full of cats! Well, gentle reader, twenty-some years ago, when I was a young man who planned to be a novelist, I thought it would be cool to have a main character who has a pet African grey parrot (kind of like Baretta; I don’t know why I am so fixated on Robert Blake allusions lately). I was so interested in it at that time that the girl I was seeing even bought a monk parakeet, which is a low-end mimic of a bird. But that’s been decades, so today I cannot even think of the character or the conceit of a plot I was planning. So I saw this book inexpensively, I picked it up, and since I was in the mood for some light non-fiction, I picked it up. 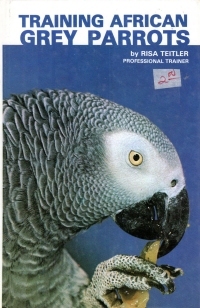 So the book talks about how to pick out a good young parrot, how to work patiently with it to teach it how to come out of its cage, step on a stick and then your finger, how to maximize training it phrases and best use its mimicry, and to teach the bird tricks like climbing a ladder and ringing a bell. The book also goes into some trainer-esque things like trimming the bird’s claws and beak and clipping its feathers; I can’t imagine trying to do these things as a beginner, but I suppose it’s good to have them in there for completeness. So am I tempted to get such a bird? Well, some of the things that turned me aside from getting one of my own back in those days are still true. They’re fairly expensive. They will, in all probability, outlive me (easier now than then, but these birds have a life span of 50 years or so, and I didn’t think so then and know so now). I could probably afford one, expensive as it is, and I do spend more time at home than I did in my middle 20s, but I also have cats who would agitate at the least and eat at the worst the expensive bird, so it’s probably still not for me. But if I remember the plot and character of the book, I know more about training the birds, so I can deduct the couple hours I spent reading from my taxes someday. Somewhere around here, I have a book on having rabbits as pets, too; although I have yet to read that book, you might remember a character in John Donnelly’s Gold has a pet rabbit. I watched Back to the Future III with my children yesterday. We started watching the trilogy two years ago while on vacation, and it took us this long to get to the end of it. Which is less time than it took us in the 1980s, but it was long enough that they had forgotten parts of the earlier films that were relevant to the third. But it got me to thinking about when I’d watched the film before. I saw it in the theater in 1990. It was the first of the series I’d seen in the theater, and it was my one and only date in high school. I’d initially wanted to ask the young lady, a junior to my senior, to the Richard Marx concert (the Repeat Offender tour, using tickets I won on the radio), but when I asked a mutual friend if she was in a relationship, he said, “She would like to be.” I took this to mean she had someone in mind, but I guess it could have been anyone, even me. However, the mutual friend and I went to the Richard Marx concert instead, and some months later, I got up the nerve to ask the girl directly, and she said yes. So we went, and although I was smitten, she was not. Which has worked out all right in the long term. When the DVD box set was released in 2002 (I remember because of the recall issued because of the framing issues), I got a set–this very set. I watched it with my beautiful wife in our home in Casinoport. Now, it’s almost fifteen years later, and I watched it again with my children. In none of the previous viewings did I imagine where I’d be the next time I saw it. Now, I cannot imagine where I’ll be the next time I see it. With grandchildren? Re-watching it with my children when they’re older? Or is this the last time I will see the film? Actually, I guess I am imagining just a little bit. In German, Fräulein becomes Frau. In French, Mademoiselle becomes Madame. In Spanish, Señorita becomes Señora. But in English, Miss becomes Mrs. (missus), which means it goes from one syllable to two. Only in English does the honorific become longer. All of the aforementioned foreign language equivalents, the “Miss” form means “Little Woman” (sort of) and the married equivalent is “Woman,” so to speak–that is, the Miss form is a diminutive form of the married equivalent. But both English forms come from abbreviating the same word, mistress. I suppose one could launch a thousand college papers on this full of baseless speculation that reflects your position on gender bias or the meaning of marriage in personal fulfillment. Me, I just fill my head with this nonsense throughout the day. I bought this book shortly after Christmas, when I took my children to ABC Books so they could spend the gift cards I bought for them the week before Christmas. Honestly, it’s an inefficient system if you think its purpose is to get gifts for my children. If you realize it is instead a system for getting me to ABC Books as often as possible so I can pick up one or two or five books each trip, you’ll see its genius. 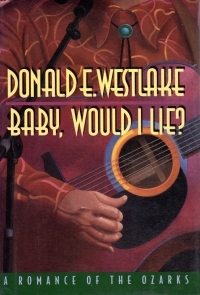 At any rate, this Donald E. Westlake novel was in the Missouri section as it takes place in Branson. Since I was going to a near-Branson location this weekend, I picked it up. It was not a very quick read. Unlike a plot-driven book like, say, a Parker novel (not Robert B. Parker, but a Richard Stark Parker book a la Lemons Never Lie). Instead, it focuses on a number of characters with their points of view intersecting on an event. This event is the murder trial of a country and western star, Roy Jones, with his own Branson theater. He stands accused of the murder of one of his theater’s young lady employees amid other problems, including negotiations with the IRS to recover some owed back taxes numbering in the millions. The media descends upon Branson, including an intrepid reporter for a New York weekly and her lover/editor and former co-workers of theirs at a Florida-based tabloid. The tabloid reporters will stoop to great lows to uncover dirt on Jones, and the editor from the New York weekly wants to do a story on the depravity of the tabloid. His replacement at the tabloid is a nervous, high strung man with a wife and kids he’s not fond of, and he has the closest thing to scruples of anyone at the tabloid. Jones himself picks the woman reporter to spend time with his entourage and get the inside view of the defense and trial, but he’s playing his own game, as the reporter will learn. As I said, it’s more a study of these characters and their interplay than a plot-driven piece–as many subplots play out with almost equal weight. Instead, the focus is on the characters. The telling and brushing of them is humorous and slightly askew–less than you get in Hiaasen and Barry, but still not straight on and serious. It’s a sequel of sorts to an earlier book with the same main characters (and a different event), but it does not depend upon familiarity with the earlier events nor does it really nod to them. It is contained in its own right. The characterization of Branson is pretty good; although 20 years have passed since the books publication, the vibe of Branson is correct. Although some of the characters look down on the people who come to Branson, the intrepid reporter main character comes to see us sympathetically, so it’s not condescending. It’s a fun book, and I should probably pick up some more Westlake elsewhere when I can. A couple years back, I was given an Elf on the Shelf for Christmas because my mother-in-law had some extra Green Bay Packers fabric, and she fashioned Packers apparel for it. This year, instead of moving it around, I hung it on the Christmas tree. Jeez, do I have to explain it? 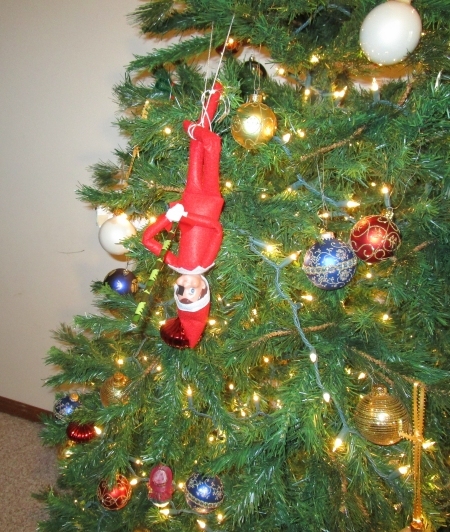 It’s the Elf as Odin on the Tree of Life. It’s less funny when I have to explain it. Which is probably not that funny to start with. Milwaukee Mayor Tom Barrett said Monday that he wants the Legislature and state residents to know that Wisconsin’s largest city is not a drain on state resources but is instead a major contributor to state coffers. City residents and businesses sent $1.37 billion to Madison in 2015 from all income, sales, utility and other taxes while the state returned only $227 million in the form of shared revenue payments, a difference of more than $1.1 billion, Barrett said. He spoke to several dozen corporate leaders Monday at a meeting of the Greater Milwaukee Committee. I get to run this bit every couple of months when an elected official in a heavily populated governmental unit points out that a higher unit that collects taxes does not return more money to the lower unit than it collects. Sometimes, it’s California complaining that it’s not getting its fair share of Federal money. In this case, it’s a city saying it should have more money from the rest of the state. That is, Menomonie and Iron River should send their tax dollars to Milwaukee. Generally speaking, it’s elected officials who think you should take from the rich and give to the poor, too, but that’s because they’re the ones who think in those terms instead of that the government should take tax money to do government things (plow the roads, protect the citizenry, and so on). You might think it poor Objectivism to call your brain trust a “collective.” As you know, gentle reader, Ayn Rand was an individualist of the first order and railed against altruism and collectivism in everything she wrote–for Pete’s sake, in the middle of her signature, on every check she signed in her life, it says Ayn Collectivism is for Sissies Rand. But what only real serious Objectivist students and excommunicants such as your humble narrator know, Ayn Rand referred to her circle of students in the 1960s and 1970s as "The Collective". So the HR Chief at Lululemon is a serious Objectivist indeed, whether the Forbes writer knows it or not. Full disclosure: I own Lululemon stock. Not so much because I like Objectivists, but I do like yoga pants and wish my beautiful wife would buy more. For our future. 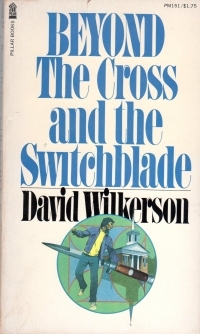 After reading The Cross and the Switchblade, I picked up this book right away because I didn’t imagine a situation where I’d be more primed to read it than right after the first. The effect is a little like reading Jerry Kramer’s books (Instant Replay, A Farewell to Football, and Distant Replay) in short order as I did in 2015: You get autobiographical glimpses of a person doing something and getting note for writing about it, and then you leap forward quite a ways and see not only the aftermath of it, but where the person is now and how hopes and disappointments accrued after the Big Book. At any rate, this doesn’t have the narrative first half that its precedent did. Instead, it takes a bit of topical look at how things have gone in the interim. Teen Challenge, the thing that Wilkerson started in New York, has gone international, and he’s gotten to be a popular speaker and crusader, but he steps back from it because he wants more one-on-one contact. He learns about the rise of drug use among suburban teens and starts drawing attention to them; he tries to motivate them with some serious eschatology (which might have later been broken into another book). His wife and he grow apart, partly because he’s so busy and in demand and partly because they both have some trouble dealing with her bouts with cancer in the early 1970s. It’s a bit shorter and less focused of a book, but it does lead one to understand some of the challenges of being a prime evangelist back in the day. Wilkerson lived into the 21st century, so he had a Web site and everything, which is odd to think about when you read his earlier book from times of the Sharks and the Jets (allusion footnote for you damn kids). I’m glad I read it when I did, because as a stand alone book, it’s thin gruel, but as a companion to the earlier piece, it’s interesting and engaging. Well, for someone who can allude to 50s musicals easily, I suppose. House Republicans voted 119-74 Monday night in favor of a proposal that would gut Congress’ outside ethics watchdog and remove its independence. So violation of criminal law will be passed onto actual, you know, law enforcement for investigation, and ethical violations will be sent to the organization that sets up the “ethics” rules? Honestly, I don’t see the problem here. What this is designed to do is to eliminate an avenue for hounding Congressional members, creating press leaks, and providing veracity for claims in political ads that “Congressman Smith is under investigation by an independent ethics board for franking violations” that run on a loop in political advertising. I’m all for ethics in government and in personal lives, but this thing looks like it was ripe for abuse in making the process of investigation a weapon. After all, it had no power in its own to punish. All it could do was make recommendations and noise in the papers.